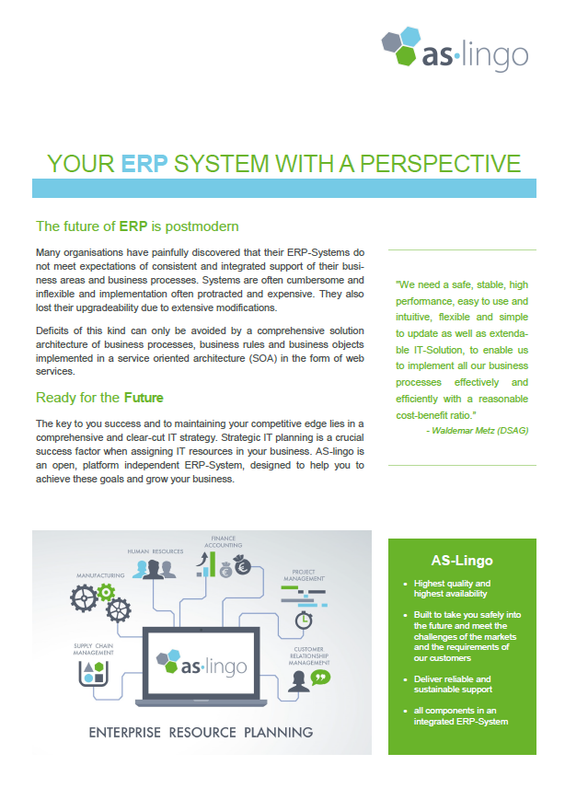 an open, platform independent ERP-System with which you can safely plan the growth of your business. 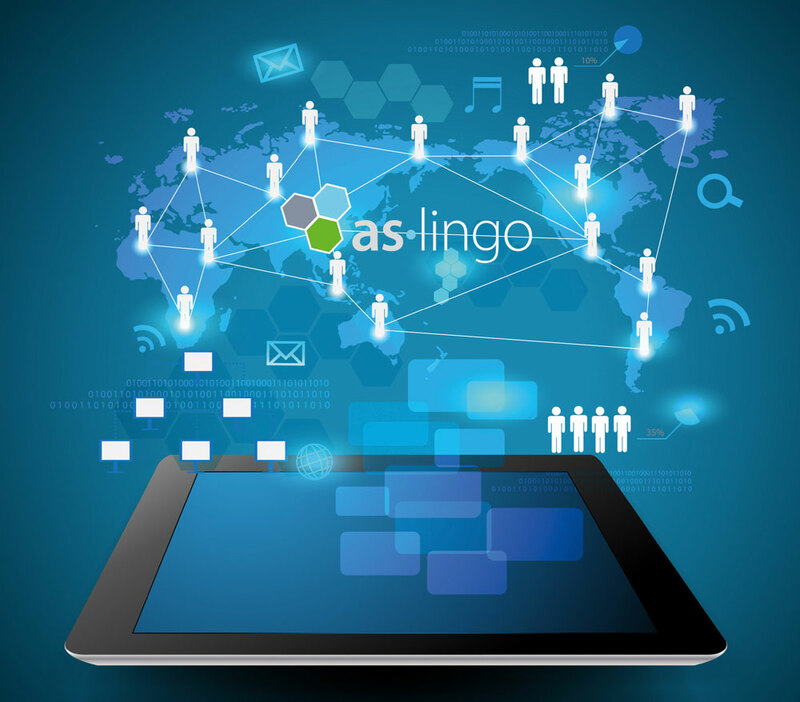 Simple and fast implementation, exible adaptation, enormous scalability (whether you have 5 or more than 5000 users) and world wide access are some of the highlights in AS-Lingo. by the availability of „Big Data“ . 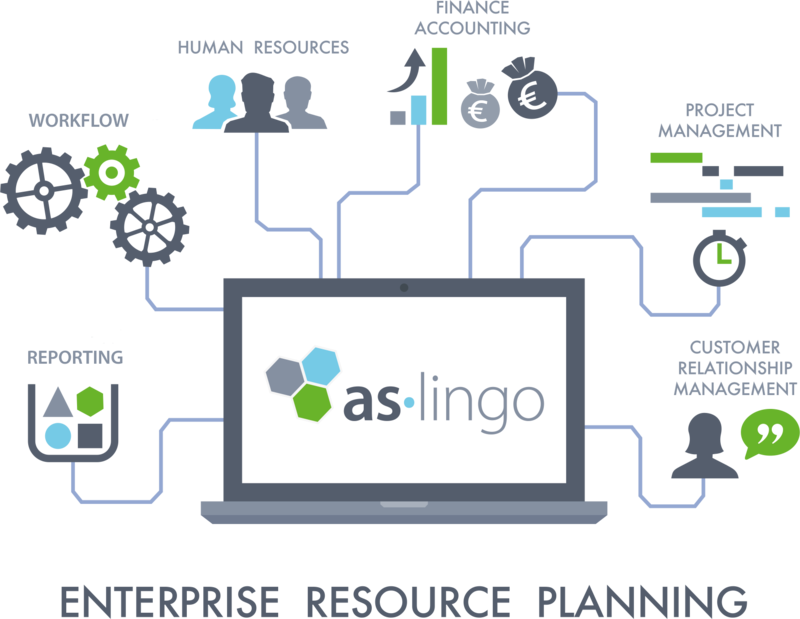 Regulatory and compliance issues (e.g. Sarbanes-Oxley) are well supported.